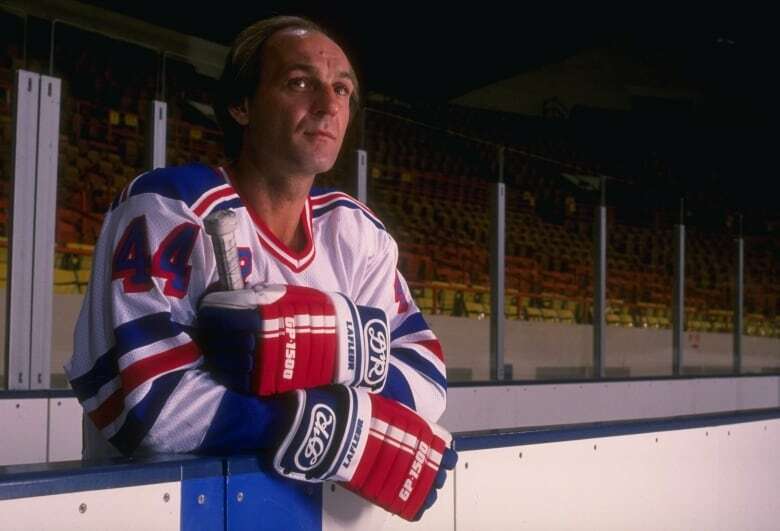 Hockey fans loved Guy Lafleur enough to pay sky-high ticket prices to see him playing — for the other team. On Feb. 4, 1989, fans — some paying scalpers $300 for a single ticket — packed the Montreal Forum to see Lafleur take the ice for the New York Rangers. It was his first return to the ice in Montreal since his retirement from the game four seasons earlier. "This was more than a hockey game. It was a homecoming," the CBC's Lynn Herzeg reported on The National, describing the two standing ovations the Montreal fans gave to Lafleur during the game. Those same fans cheered when Lafleur scored two goals on the Montreal net. He also notched an assist. Montreal won the the game by a score of 7-5. Lafleur, the returning Hall of Famer and hockey hero, was named the second star of the game. Later that month, Lafleur spoke to CBC's Midday about what it was like for him to take the ice at the Forum, where Habs fans had cheered him on during the first 14 seasons of his career. "It was very emotional, I was very nervous before the game, so I'm glad that it's over right now," Lafleur said of that game. "But I'm glad, too, that I did very well and people when they got out to the Forum, they were very happy." Lafleur would end up playing just a single season with the Rangers before finishing out his career with two seasons playing for the Quebec Nordiques.